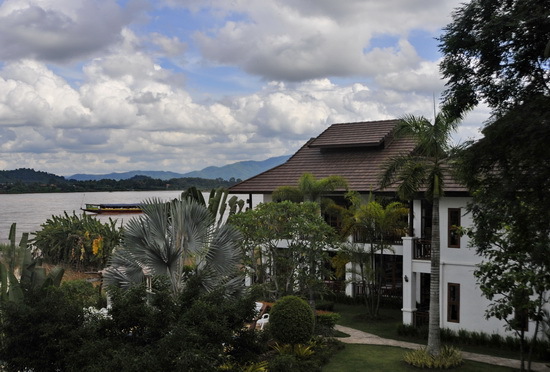 Set in a lush, well-tended garden with unobstructed views of the Mekong River, Gin’s Maekhong View Resort is a wonderful spot. With an out of town location it’s peaceful too, but the old town’s north gate is just down the road and Chiang Saen town centre is a mere 10 minutes’ walk away. Garden setting and Mekong backdrop. The resort is a fair deal at any time of year — if this was in Pai, for instance, prices would be at least double — but if you consider their low season rates, you’re getting to stay in top-range accommodation at mere midrange prices. Few foreign travellers make it up this way, which keeps the price down, and for much of the year outside of weekends, you’ll probably have the place pretty much to yourself. The entrance is on Route 1290, just before the junction with the ring road, so around 500 metres north of the town centre, with a small carpark, reception area and coffee shop. Beyond this, gardens descend the riverbank slope to the Mekong which, in rainy season, can get very close indeed. Gardens are well laid out and the vegetation’s not too dense, rendering the area light and airy, which helps keep down the mosquito population. (We do find some resort gardens can get rather dank and gloomy with too much tree cover.) 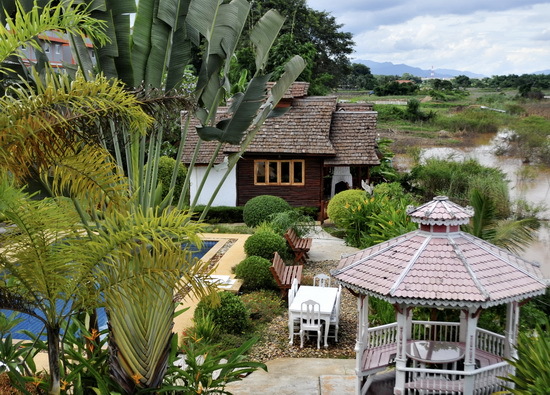 There’s a good, mid-size pool in the garden, plenty of tables and chairs scattered around plus a riverview sala and wooden walkways leading down to the river. 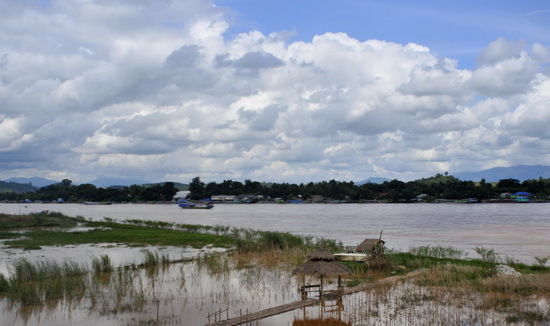 The Mekong, with Laos opposite. Within the garden, at the foot of the slope down from the road, are individual chalets and a couple of two-storey blocks housing the rooms, while dropping down another level is a narrow riverside flood plain. In dry months this is also a garden, and indeed in November and December it’s given over to a Thai favourite, sunflowers, and a bit later in the year, strawberries. In the rainy season the only things that grow there are frogs and fish. Clean, airy and uncluttered, with great balconies. The rooms are spacious and very nicely appointed with roomy bathrooms and hot showers, fridges, cable TV, WiFi and balconies. Standard rooms don’t have as good a view as superiors, so are priced slightly lower, while the best views are reserved for their “grandview rooms”. There is a short row of chalets strategically placed out front with spectacular views and large verandas plus, towards the rear, a well designed wood and bamboo family chalet containing three separate rooms, with bathroom in between. Rooms are simple, with plain white walls, varnished floors and minimal decor, so they feel bright, airy and uncluttered. The chalets have wood-finished interiors; the family chalet is all wood and bamboo with a funky, traditional-style straw roof. The coffee shop — the Hut of Love (!) 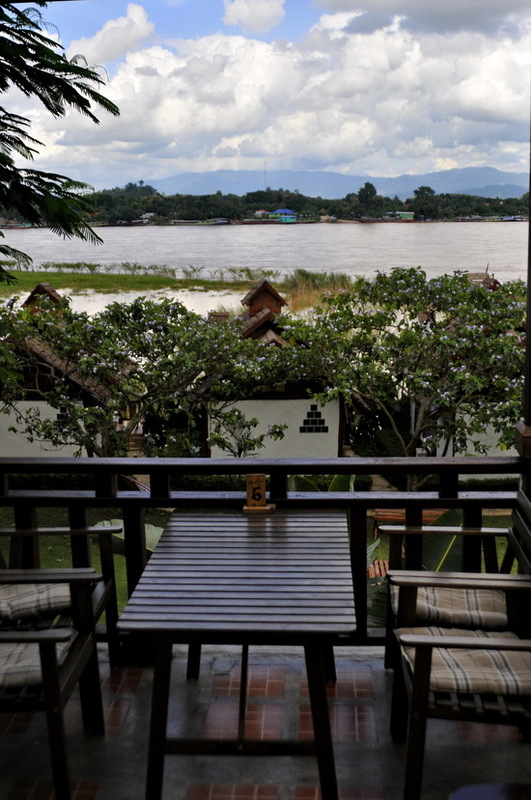 — is good for a brew and a cake, while their street-level restaurant affords great river views from the balcony and serves Thai standards and a few Western options at reasonable prices, if you can’t be bothered to walk into town. We didn’t see much evidence of the spa in action, though it was low season when we visited. They claim to be able to dig up some motorbikes for rent, which is useful. They should be about 300 baht per day for guests. With friendly, helpful staff rounding out well-priced Gin’s, this is an all-round excellent place to stay. During high season — on the weekends in particular — it’s best to book ahead. 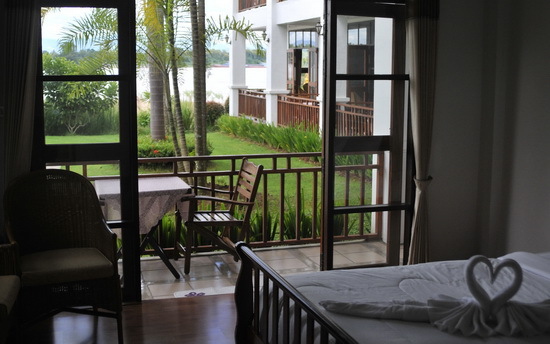 Room: Standard double room, low season: 1,000 baht, high season 1,200 baht. Notes: Peak 1,500 baht. Room: Superior double room, low season: 1,200 baht, high season 1,500 baht. Notes: Peak 2,000 baht. Room: Deluxe double room, low season: 1,500 baht, high season 2,000 baht. Notes: Peak: 2,500 baht. 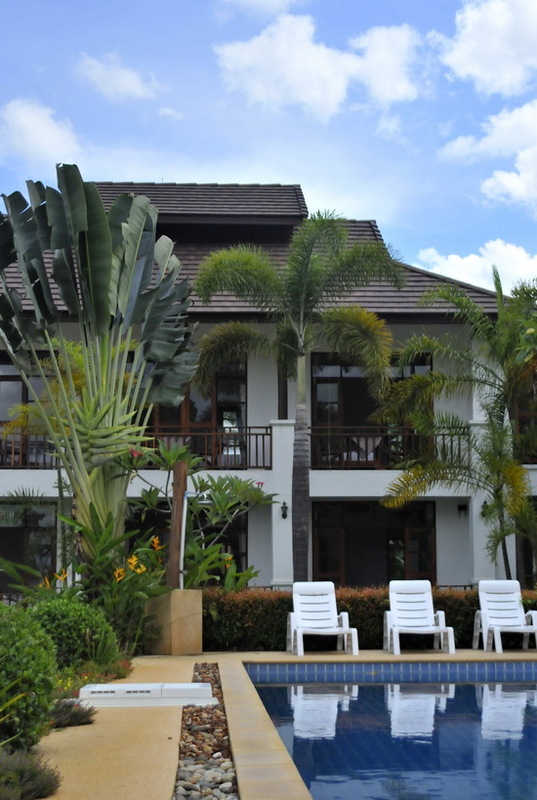 Room: Bungalow air-con private bathroom, low season: 1,500 baht, high season 2,000 baht. Notes: Peak: 2,500 baht.